It is very hard to identify one China and define what that one China would be, since China has got many faces. Taiwan is one of those faces of China. The terms “Taiwanese” or “Chinese” have different meanings for different people, and the meaning can also change over time (Chia-lung Lin 224). But although opinions differ on to what extent Taiwan’s identity is ‘Chinese’, most agree on the fact that Taiwan to a great extent has a ‘Taiwanese’ identity. 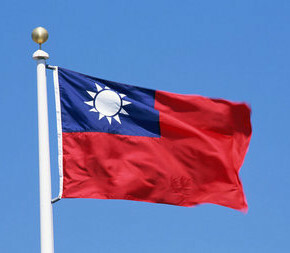 What constitutes the Taiwanese identity, and through which way did the people in Taiwan obtain this self-identification? 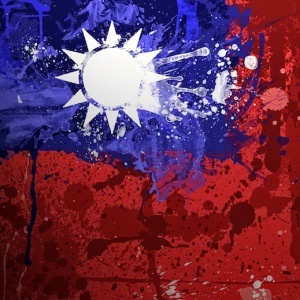 A stronger sense of Taiwanese identity has been roughly surging in the last two decades. Taiwan has had a rocky history. The original inhabitants were Malaysian-Polynesian. In the 16th century the Portugese arrived in Taiwan, and later on (1624) the Dutch and Spanish, whilst Chinese people made it to the island as well. It was 1885 when the former ‘Formosa’ turned into ‘Taiwan’ as a province to Fujian, but only ten years later it already became a Japanese colony. From 1945-55, it was Chiang Kai-shek and the Guomindang and their followers who fled to Taiwan, and believed they would, one day, return to the mainland and free their fellow country men from the ‘bandit’ regime of the communists (Schoppa 137). This history, where Taiwan’s inhabitants and destination keep shifting, is important to understand the rising national identity of the last two decades, and the significance of 1988 when Lee Teng-hui came to power: an ‘original’ Taiwanese. With his ideas on Taiwanese independence Lee brought a new sense of nationalism (Schoppa 138), and this created growing tensions with mainland China. The growing friction between Taiwan and mainland China form the key to the increasing sense of Taiwanese identity. In Taiwan’s history, the inhabitants have always had many different roots and feelings on what their nationality was; there was always the ‘Other’ in the appearance of either the Dutch, the Japanese, or the ‘Waishengren’ (Corcuff 165), which prevented Taiwan from creating a national sense of unity. But with the hostile ‘Other’, China, on the other side of the ocean, the Taiwanese were finally the ‘same’ or ‘one’ in their suffering (Lin 219), which allowed them to identify with Taiwan. Because in order to recognize an ‘Other’ there has to be a sense of what ‘Self’ is, and vice versa. And so, through acknowledgement of what the Taiwanese saw as ‘otherness’ in China, they created a norm of what made the Taiwanese, no matter which ethnic background, “Taiwanese”. 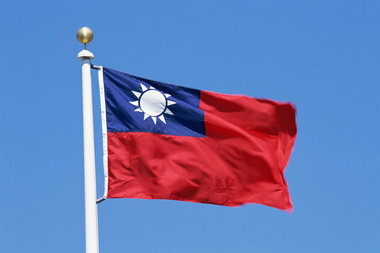 Constant political participation has gradually formed a collective consciousness among the people, transforming the term “Taiwan” from a geographic location to a political society and the term “Taiwanese” from an ethnic term for “native Taiwanese” to a civic term for “citizens of Taiwan” (227). A strong participation in politics and growing resistance from the Chinese mainland is a great part of what gives the Taiwanese their identity. At the same time I also believe this could change again over time; if there would hypothetically be another ‘Other’ that might pose a threat to the Chinese cultural sense of identity, mainland China and Taiwan could again come closer to unify against their communal ‘Other’. Until that time, however, the ‘Other’ in China forms the ‘Same’ in Taiwan. This shows how much the Other is crucial for the affirmation of the Self. * Corcuff, Stephane. ‘Taiwan’s “Mainlanders”, New Taiwanese?’. In Memory of the Future: National Identity Issues and the Search for a New Taiwan, edited by Stephen Corcuff (New York: M.E. Sharpe, 2002). Pp. 163-95. * Lin, Chia-Lung. ‘The Political Formation of Taiwanese Nationalism’. In Memory of the Future: National Identity Issues and the Search for a New Taiwan, edited by Stephen Corcuff (New York: M.E. Sharpe, 2002). Pp. 219-41.